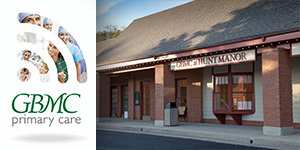 Dr. Carey is a double board-certified internal medicine and pediatrics physician with GBMC at Hunt Manor. She received her Doctor of Osteopathic Medicine degree from Lake Erie College of Osteopathic Medicine in Erie, Pennsylvania. 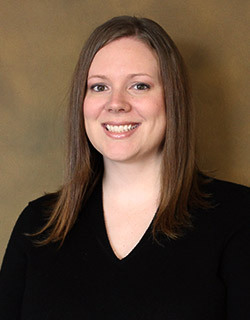 Dr. Carey completed her residency in Internal Medicine and Pediatrics at Marshall University School of Medicine in Huntington, West Virginia. March 15, 2019 Dr. Carey is very professional. Listens well. I really like her as my doctor. March 11, 2019 Dr. Carey listened to what I had to say and provided information that I had not previously considered. She was patient and informative. November 30, 2018 During the middle of our visit EPIC went down and it didn't impact the visit at all- Dr. Carey already knew [...]'s history, I was able to get a copy of the AVS at the next visit. I liked that it seemed as if it was no big deal to the staff, when EPIC went down. My daughter was due for her 2nd half of the flu vaccine and it was still no problem. I thought she would get it with the other vaccinations but Dr. Carey knew she needed it at that visit. October 22, 2018 Dr. Carey is very nice & listens & provides good feedback. September 4, 2018 provider didnt seem too concerned about the issue i have been dealing with for months.. she gave me the most generic diagnosis without much information on further testing or diagnostic procedures. i would like to know what is going on. August 22, 2018 Dr. Carey is very knowledgeable and very compassionate. August 14, 2018 Dr. Carey is great even when she's not there! (she gave me warning that she is planning to go out on maternity leave, so she told me who to speak too and told me exactly what I can expect when she's gone). she makes things very easy for me! July 17, 2018 Have recommended and 2 friends now going to Dr. Carey! July 3, 2018 I switched from a provider at Jarrettsville Family Care to Dr. Lisa Carey at Hunt Manor - best decision I EVER made! June 12, 2018 I am thankful to have Dr.Carey as my doctor! June 7, 2018 Love working with her and her team. June 5, 2018 Medications were not discussed. June 4, 2018 My wife and my son also go to Dr Carey when needing routine care or checkups. The staff are the best! May 28, 2018 I have little trust in doctors and she did nothing to build my confidence in her. May 24, 2018 Dr. Carey is awesome!